There was an ongoing joke about the origin of soap on a rope. Some said they had to make it out of necessity for those in prison. Obviously, that wasn’t the real story behind this luxury soap. The English Leather Company is behind the birth of soap on a rope. In the late 1940s, the company created it with the innocent reason of keeping soap dry and preventing it from becoming a mushy and soggy pile. It might seem self-explanatory, but there is an actual proper way of using soap on a rope. Simply loop the rope around your wrist to keep it from falling on the floor. Even if the soap slips from your hands, you can be sure that it’ll not go any further. It holds a lot of appeal for the older market, and those with physical conditions that give them limitations during bathing. Many think it’s a novelty item at best. The truth is that there is more thought put into making these soaps, using great ingredients and soap making techniques – making these soaps more luxury items. Here we have collected the ten best soap-on-a-rope products in the market today. 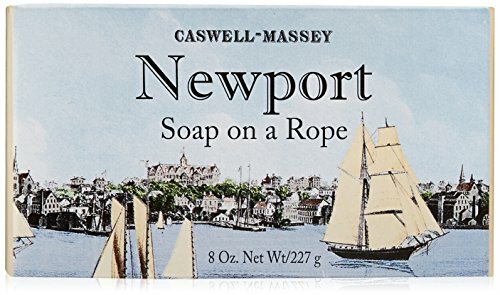 Caswell-Massey Newport Soap on a Rope is a vegetable-based soap that went through a triple mill process. You get a rich lather every time. The rope is made of nautical rope that is not only functional but is also a great bathroom accent. The soap is named after Newport, the city where the company was founded. The soap contains zero phthalates and other chemicals that are harmful to the body and environment. 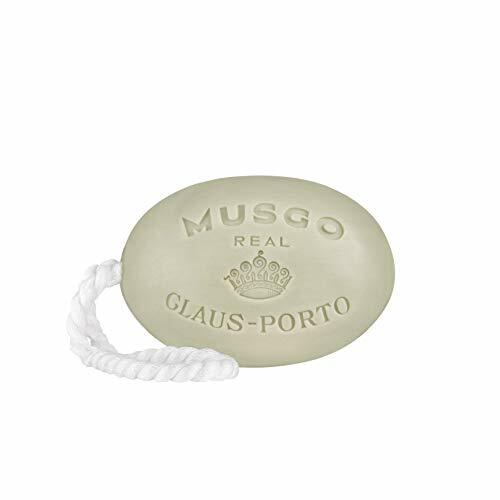 Musgo Real Soap On A Rope is from Claus Porto, one of the oldest Portuguese soap brands. For over a century, it has created products that are 100% natural and are packaged with colorful wrappings that reflect the culture of the country. This soap is made from walnut extract and pure vegetable oils. As a result, you get a nice moisturizing effect after each bath. The scent has a woody element to it, with notes of vanilla, patchouli, and sandalwood. It’s a great men’s soap that’s designed for daily use. 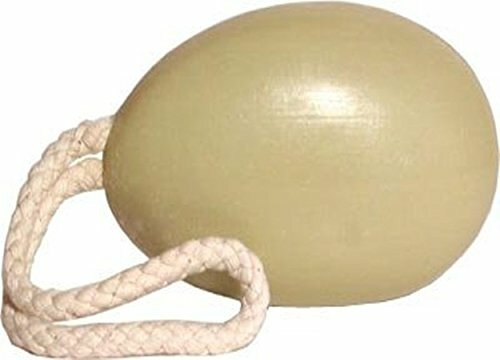 La Lavande Soap on a Rope is an oval-shaped soap that fits perfectly in your hand. Shea butter and verbena fragrance are added to it. You get a mild, long-lasting and nourishing soap. This is a genuine French soap that comes in a clear cello bag, tied with raffia. A truly luxurious experience. 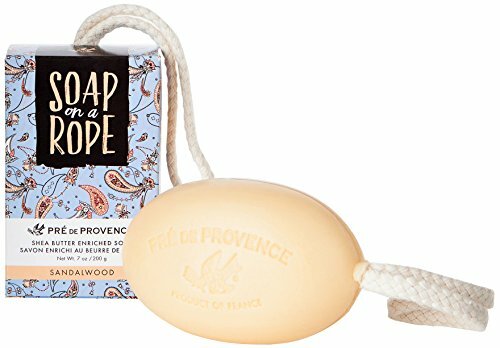 Pre de Provence Soap On a Rope is made by the company that has churned out French-milled soaps for centuries. You can instantly see the high-quality craftsmanship in each soap, thanks to the proud Provence soap-making traditions. Quad-milled soaps give a smoother and richer lather. Its fragrances lead to feelings of vitality, calmness, and dreaminess. Another great deal about this soap is that its aroma remains until all of the 150 grams of soap is used up. 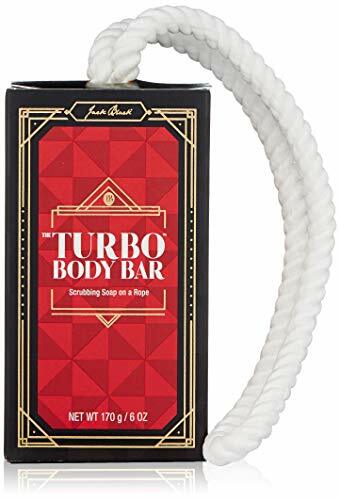 Jack Black Limited Edition Soap-on-a-Rope is a signature item from this company. They create high-quality skin care products for men. The soap is easily stored, thanks to the rope attached. You’ll get real deep cleanse every time, and the aroma it gives off is extremely energizing. This is for sure a great gift for any man in your life. 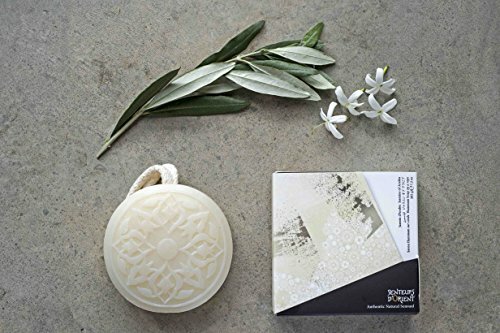 Senteurs d’Orient Jasmine Of Arabia Soap is handcrafted by local Middle Eastern artisans. The company is not only a brand of natural bathing items, but they are also very socially conscious. They contribute greatly to women education. The Jasmine of Arabia soap is made with precious essential oils, olive oil, fine fragrance, shea butter, vitamin E, and glycerin. As a result, you get a moisturizing and relaxing bath each time. 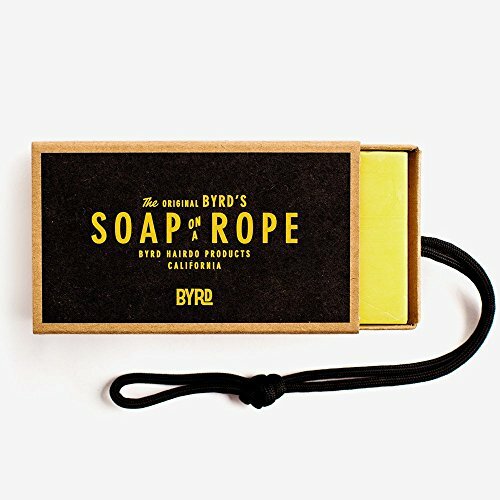 BYRD Soap on a Rope can be used for the entire body, even the face. The rope is a 7-inch paracord to wrap around your wrist. Hang it easily in the shower when not in use. It’s made with aloe vera, coconut oil, and Pacific sea salt. These ingredients give a gentle and effective cleansing without removing any of the skin’s natural moisture. It’s safe for all the skin types, even sensitive ones. 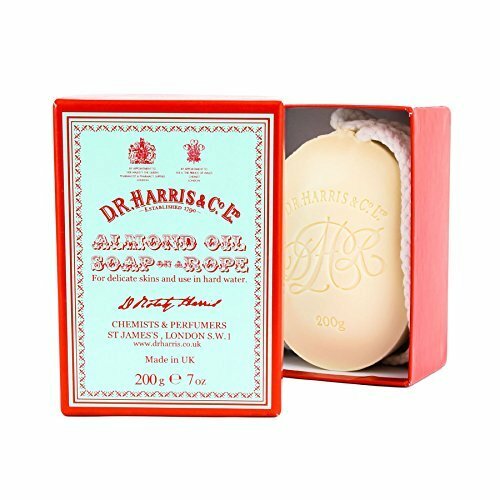 DR Harris & Co Almond Soap on a Rope has almond oil that helps prevent skin dryness. It is triple-milled for extra smoothness. It can be used for all skin types. Get a rose, cinnamon, clove, and geranium fragrance. All of the company’s soaps last longer and give a rich and smooth lather. 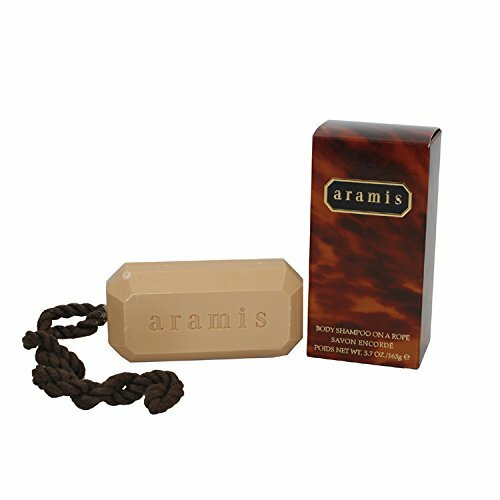 Aramis Body Shampoo on a Rope is a great product from this revered brand. Aramis was created in 1964 by Estee Lauder to cater specifically to the grooming needs of men. At the time, there wasn’t a good roster of masculine care items available in the market. The brand eventually led the way to luxury men’s fragrance and skin care products. They still lead the market today. 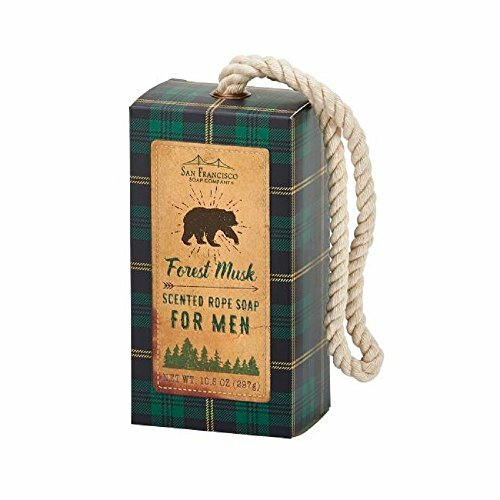 San Francisco Soap Company Forest Musk Soap On A Rope creates a luxurious lather every time you take a bath. The soap gives a gentle cleanse, and a feeling of nourishment and smoothness on your skin. Each soap formulation is blended with only the best natural ingredients. The company creates high-quality products minus the harmful chemicals and fillers commonly found in commercial brands today. Thanks to these brands, we now have more than enough “soap on a rope” choices on the market. They definitely solve the lack of men’s grooming products problem – but more and more brands are also making these soaps for everyone – men, women, and even children!